We have a free knitted shawl pattern, courtesy of my friend Kate! 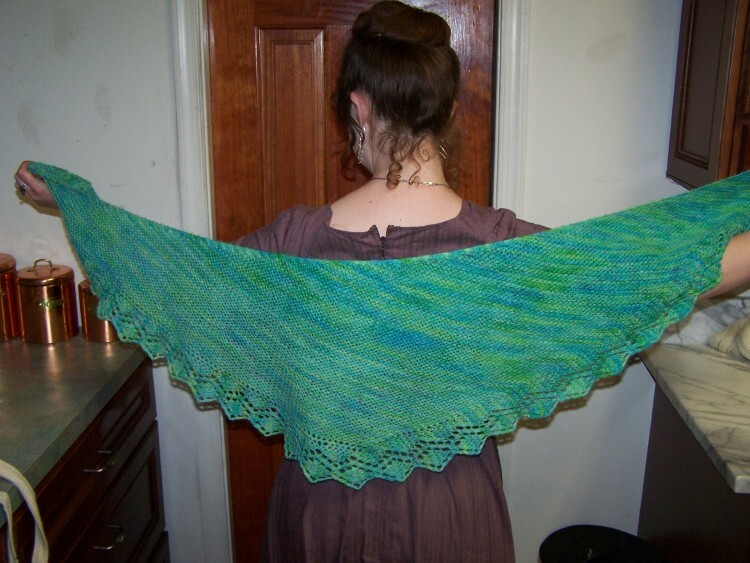 Kate created this shawl from the Meduseld Romney yarn that we dyed together for the dyeing wool with food coloring article a few weeks ago. 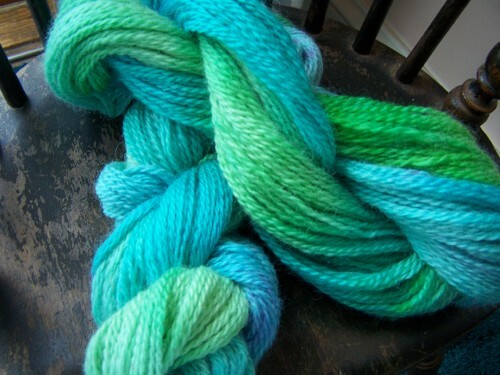 In these pictures, you’ll recognize the green and teal yarn that she dyed and subsequently swatched. 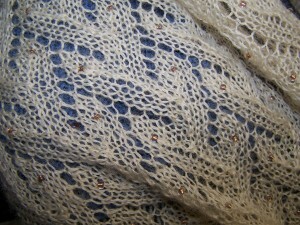 And this picture shows its boomerang shape and the subtle pattern in the dyed yarn as it moves across the shawl. 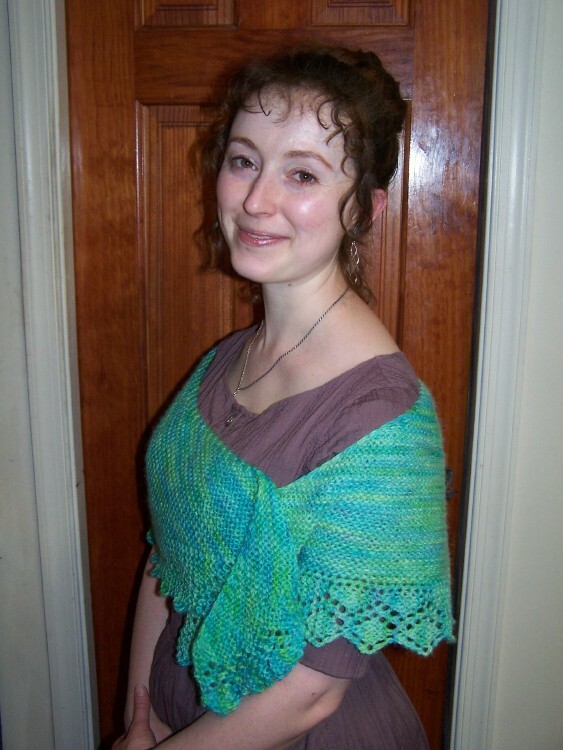 This is an easy garter stitch shawl, knit sideways from one point to the long edge opposite. 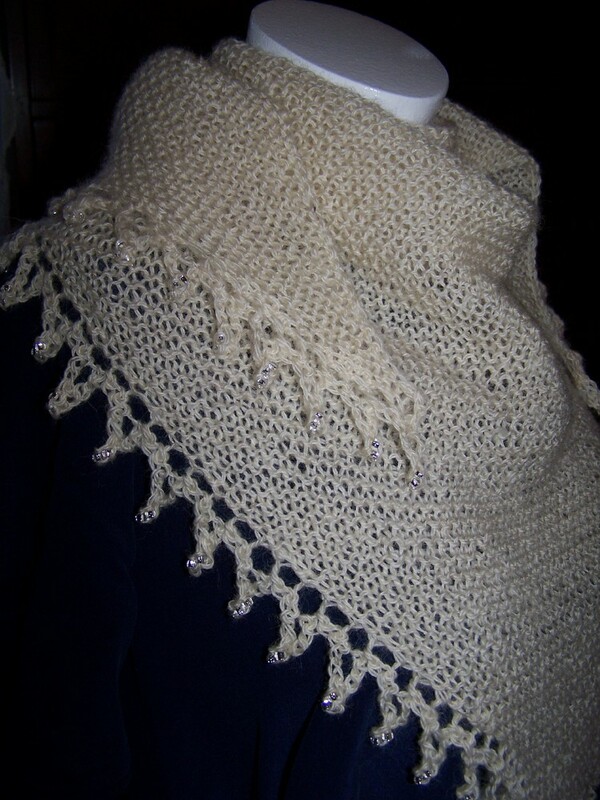 It can be very simple with no border, or fancy with a sideways knitted lace edge of your choice. 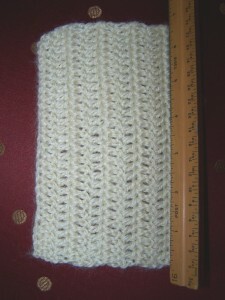 If you continue the edging around the other side, you will only have to bind off a few stitches at the end. I’ve done two different versions, one with the Doris edging, the other with the Wave Lace edging, which I modified slightly to come to a point at the end. Both are from Heirloom Knitting by Shannon Miller. First row: k2, m1, k1, pm. 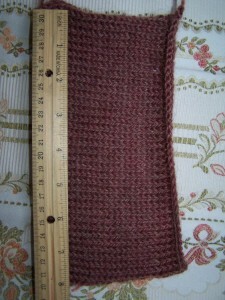 Knit the first row of your chosen edging. Second row: Knit the second row of the edging. Sm, k2tog, m1, k2. Third row: k2, m1, k to marker. 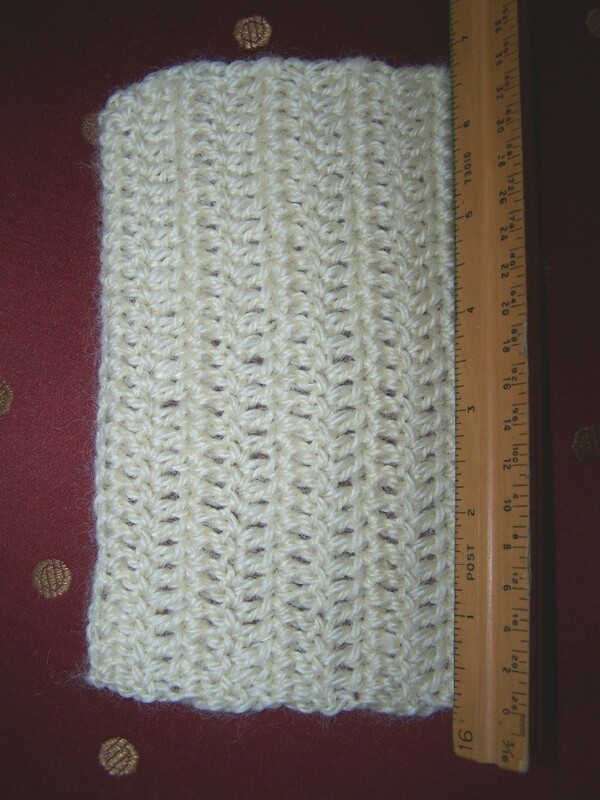 Sm, knit next edging row. Fourth row: knit next edging row. Sm, k2tog, k to last two stitches, m1, k2. 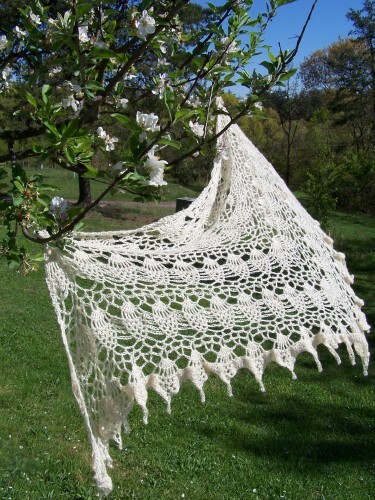 Repeat the third and fourth row until your shawl is the size you like, or until you are running out of yarn. You can just keep going until you have just enough to bind off, or leave enough to continue the border around the other side. 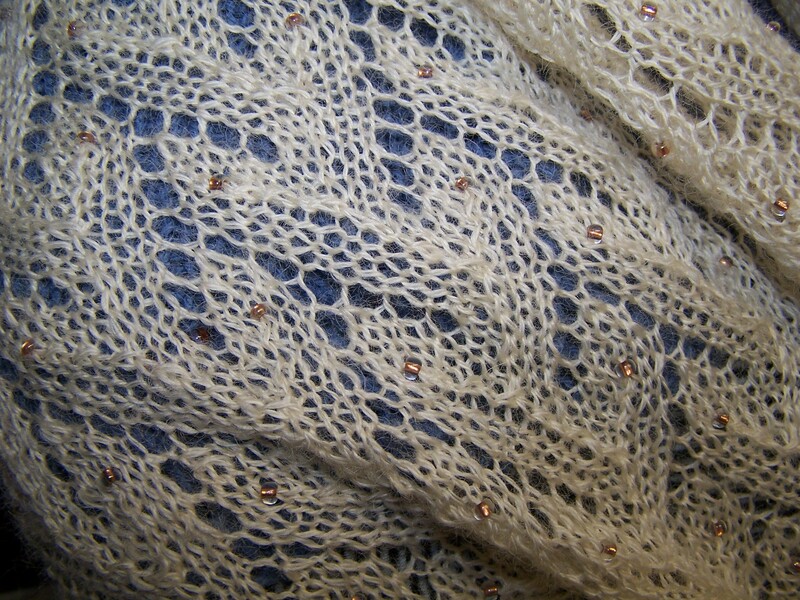 I ended the shawl when I came to an inward point in the edging. 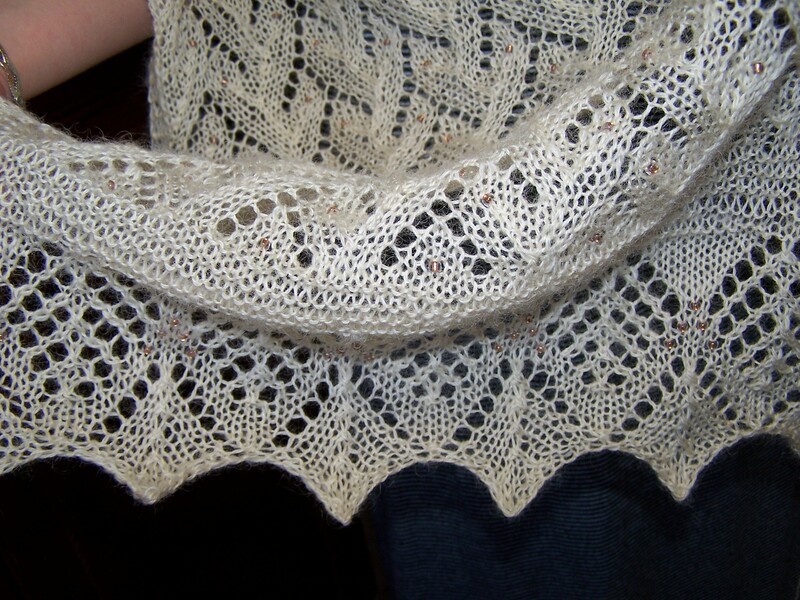 I then knit one more row on the edging from the edge to the body of the shawl, and turned, knitting back down to the edge. I then continued the edging, knitting the last stitch of the edging together with the next stitch of the body, to finish off all the live stitches on the body. 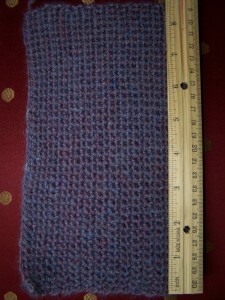 I then had to bind off only nine stitches at the end. 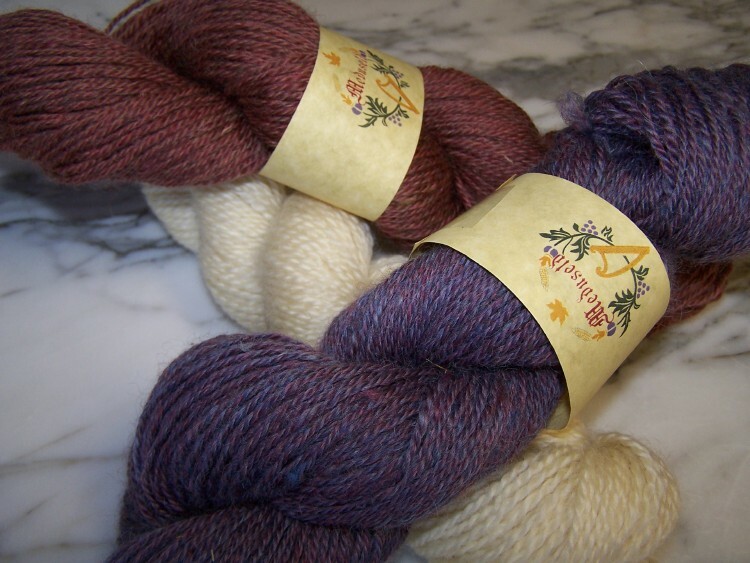 We are pleased to announce the winners of Meduseld’s FIRST yarn give-away! 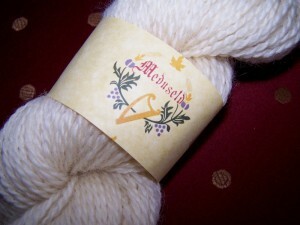 Two numbers were drawn at random from the posts to Meduseld’s Ravelry group. 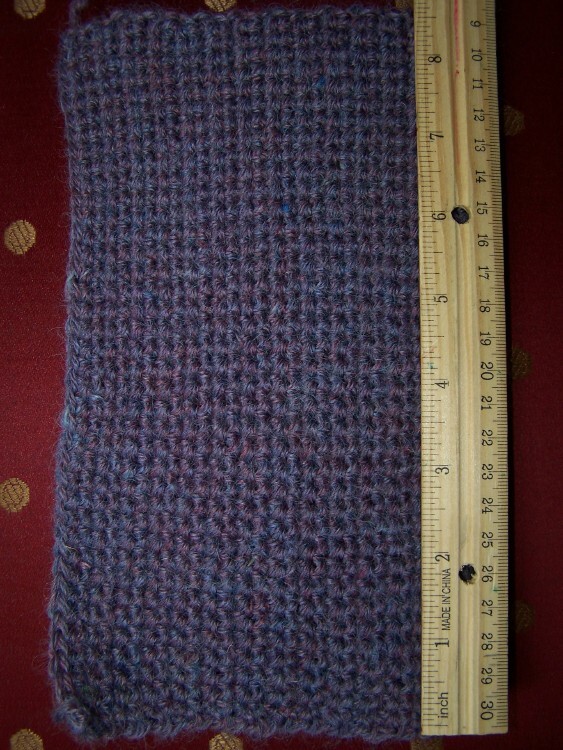 The second place winner, for the Lanna Gato Alpaca, was #9 - apple380 – she posted that she’d make lace mitts. The first prize winner for the skeins of Meduseld’s Dorset Down/Friesian, was #3 rosebob, who indicated she would make a lace cowl. 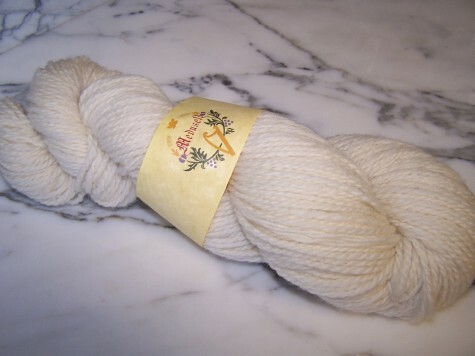 New Yarn and Prize Give-away! Read Below! 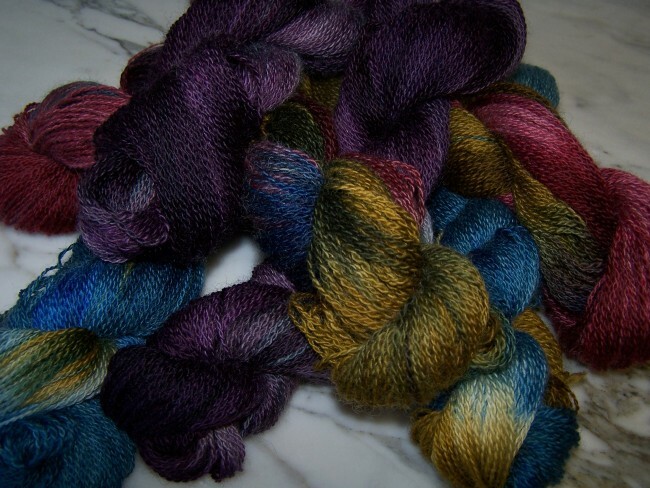 Meduseld is delighted to release a new yarn. This is a two-ply worsted weight yarn of our Friesian and Dorset Down sheep. We have profiled both of these breeds in a past blog article. 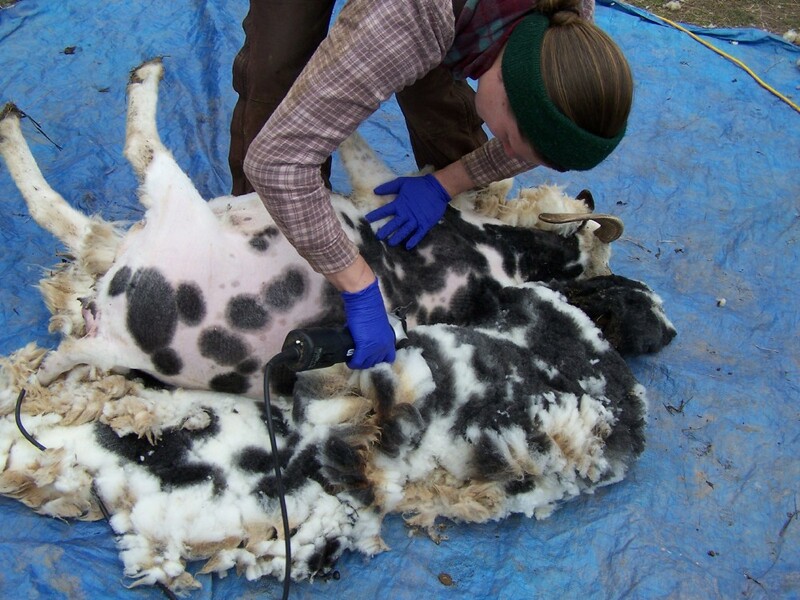 The Dorset Downs, in particular, are known and bred for their very soft wool – wool soft enough to be used in apparel against the skin. These skeins won’t disappoint, as they have all the characteristic softness of these breeds. 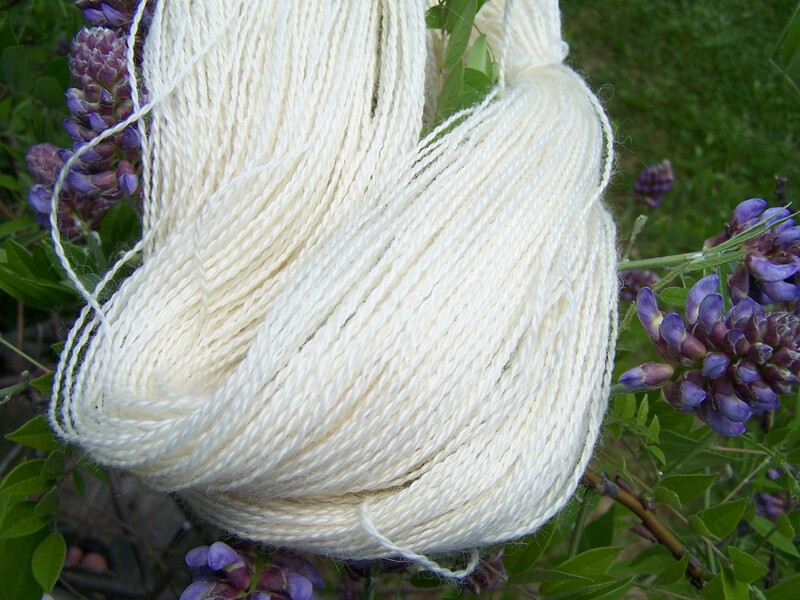 This yarn is springy, and feels like it had cotton blended with it. 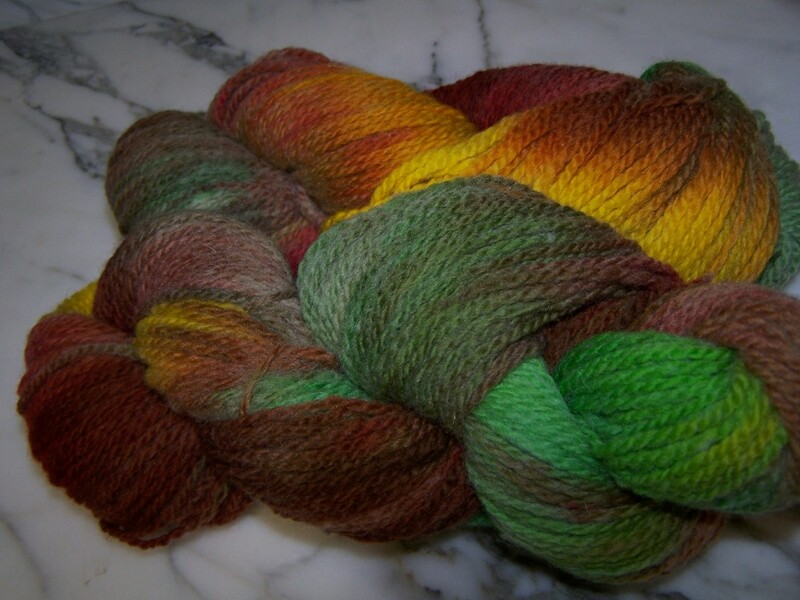 We have a limited supply of these skeins. 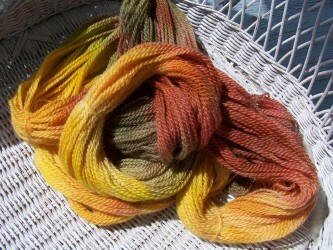 We are selling these 3.2-3.3 oz skeins very affordably for only $13.50 each. The color is natural white, and they would be excellent for dying. We will be holding a give-away of one approximately 3 oz. skein on May 15, 2013 through our Ravelry group, Meduseld. Post on the forum’s give-away thread that you would like to enter the give-away, and let us know what you’d like to do with the yarn if you win it. 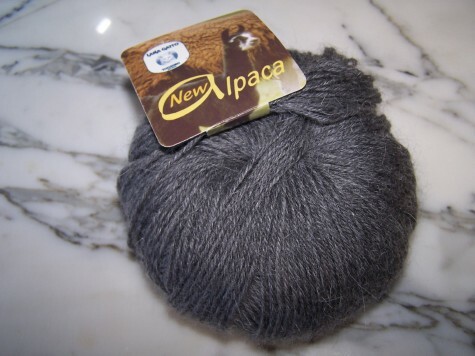 Second runner-up will receive a 1 3/4 oz skein of Lana Gatto’s Alpaca in a dark natural grey. We will pick both winners at random on May 15. Make sure to join the Give-Away! This weekend we had another fun visit from my skilled knitter friend, Kate. She had a couple gorgeous WIPs with her, and I hope to convince her to let me take pictures of them. 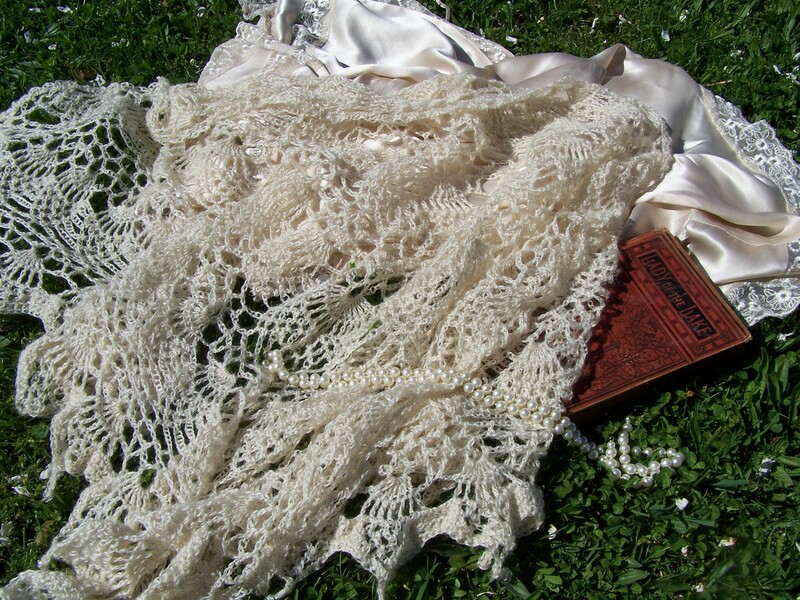 She was making stunning knitted lace with some silk lace yarn she had acquired at last year’s Shenandoah Valley Fiber Festival, and I can’t want to see what they look like when she’s finished. 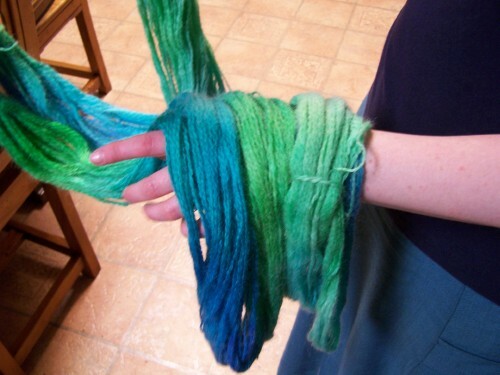 While she was here, we thought it would be fun to dye some yarn. 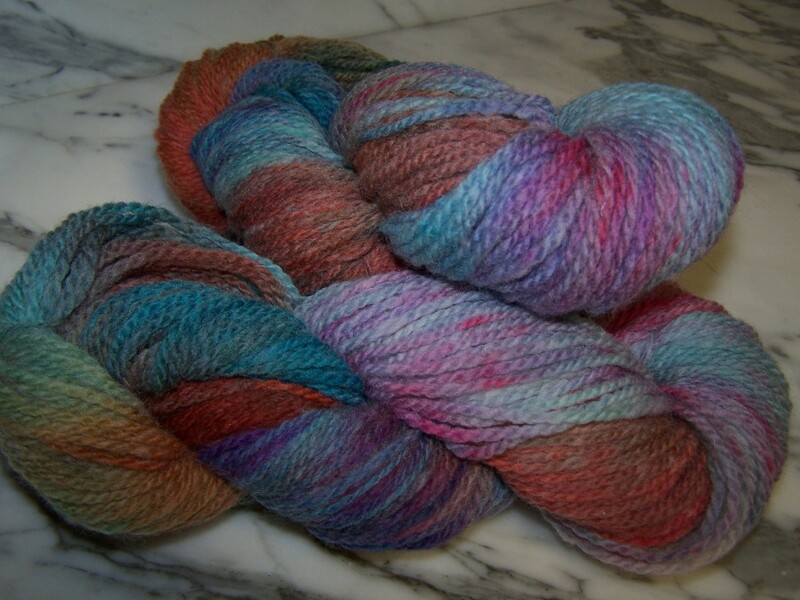 We took some skeins of romney worsted weight yarn and proceeded to the kitchen. 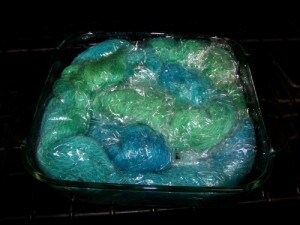 Using standard kitchen food colors, Kate decided to make her yarns in shades of blues and greens. I selected autumn colors. 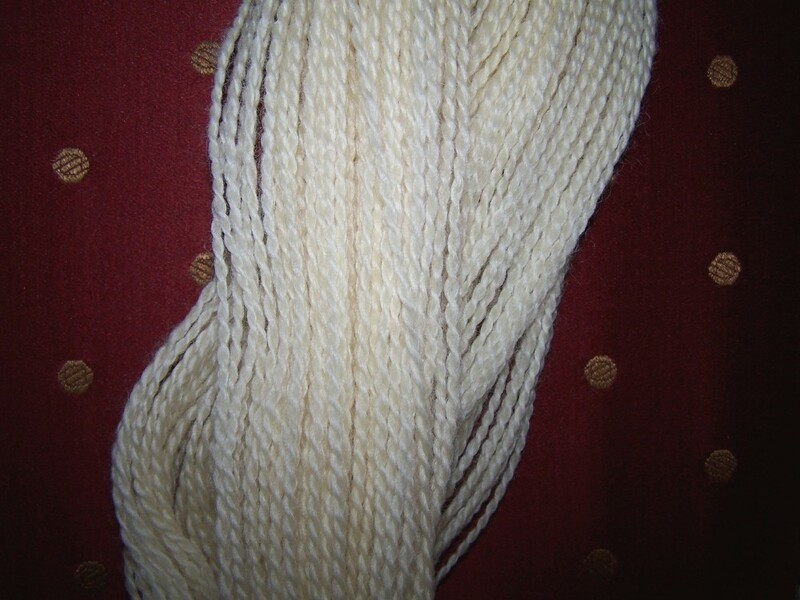 In order to begin, the yarn has to be soaked in water with white vinegar. We used about 6 cups water with two tablespoons white vinegar. The acid is what makes the colors bind to the natural wool fibers. 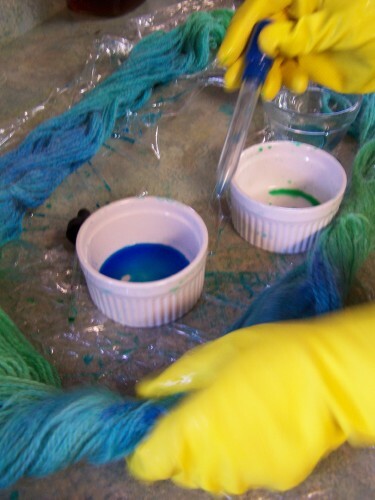 Some dyers also use citric acid to achieve the same result. We allowed the yarn to soak in this solution for over 30 minutes. While this was soaking, we started to prepare our dying solutions and the work area. To make the dyes, we used small dishes with 1/4 cup water. To these we added between 5- 12 drops of food coloring, depending on the intensity that we wanted with each color. This is fun to experiment with. To protect the counter we placed clear plastic wrap in a large hollow rectangle on the counter. 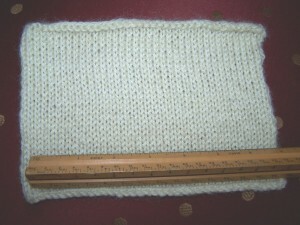 The rectangle has to be large enough to accommodate the dimensions of the yarn skein. It is hollow so that it can be wrapped up around the skein once it is dyed. Here Kate is almost done applying the colors to her skeins. 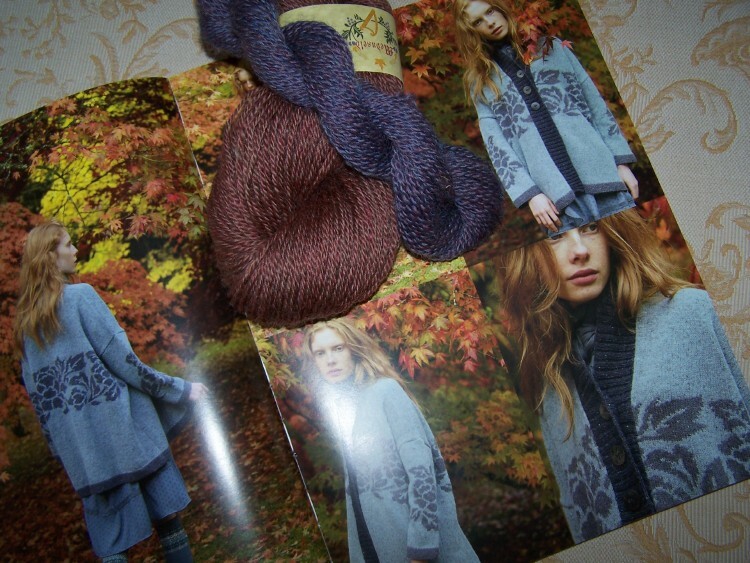 She has two skeins side by side so that each will have the same colorway. 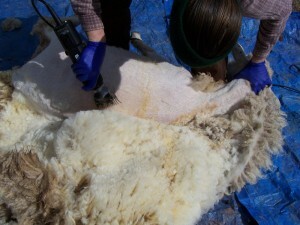 She has been applying the dyes with a small syringe. Please also note her gloves…this can be pretty messy business. When finishes applying the dyes, Kate starts rolling the plastic around the skein from the outside it. 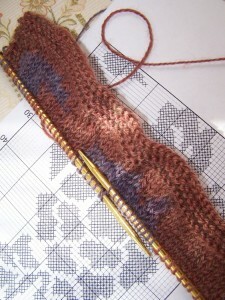 You want to enclose the skein so that one side does not touch the other and have color leaking into other parts. You end up with a large hollow doughnut shape. Kate placed this in a Pyrex dish, and put it in the oven at 300 degrees for 30 minutes. The heat is necessary to “fix” the dyes. (You can also microwave the yarn in two minute increments until it is steaming hot and the dye it set.) After checking it, we decided another ten would help fix the colors. After removing the yarn and allowing it to cool, Kate has washed the yarn in warm water and a mild soap. 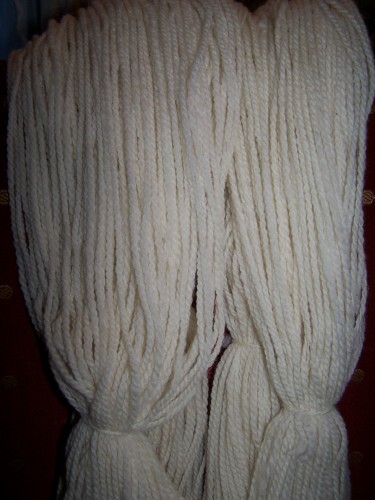 Wash until the water runs clear and be gentle so that the yarn does not felt. 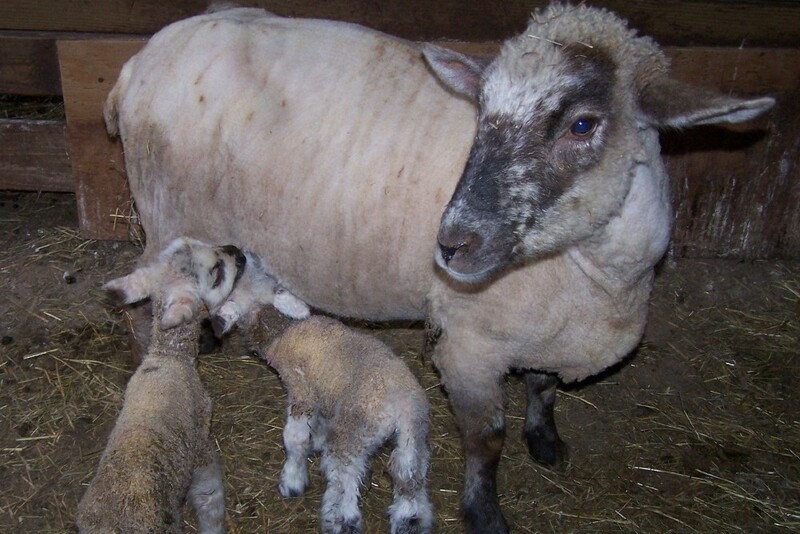 Here she is showing the completed, yet still wet, product. 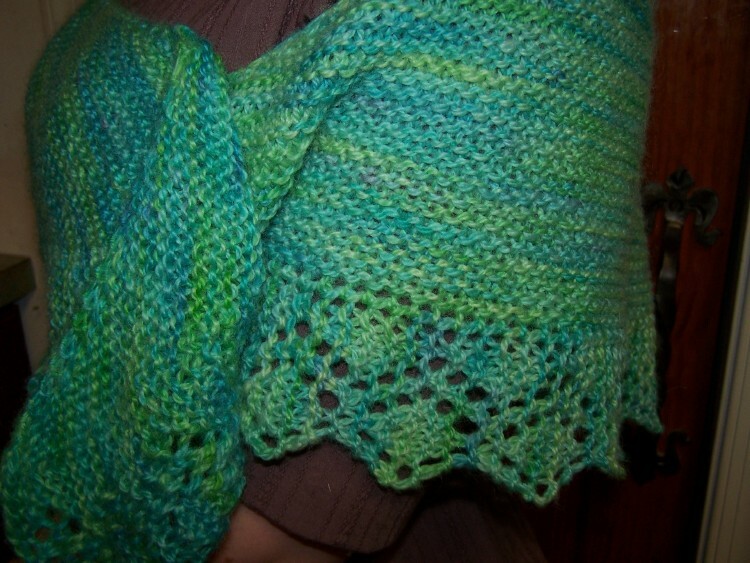 The two skeins turned out beautifully! 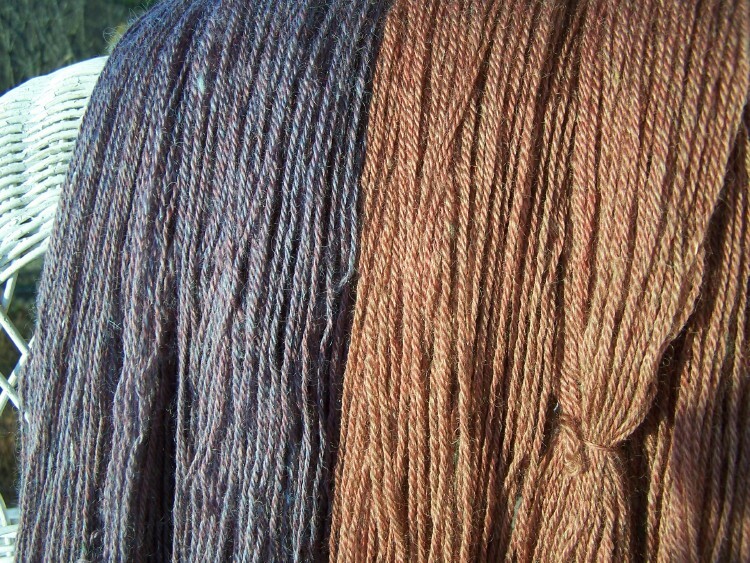 Some of the blue dyes separated and created spots of purple that add interest to the yarn. Kate has already swatched it. 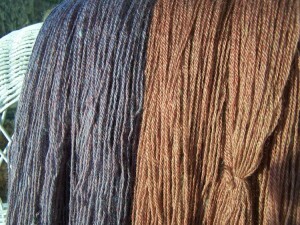 Here are the two skeins made in the autumn shades. These two are available in our store.